Home » Blog » Orthodontic FAQs » Did You Know We Offer Different Types of Braces? HERE AT Hansen Orthodontics, we know every patient is unique. That’s why we offer different types of braces! We want to provide you with the best fit possible for your smile’s particular needs as well as your lifestyle. Metal is the most common type. They are made of high-grade stainless steel. 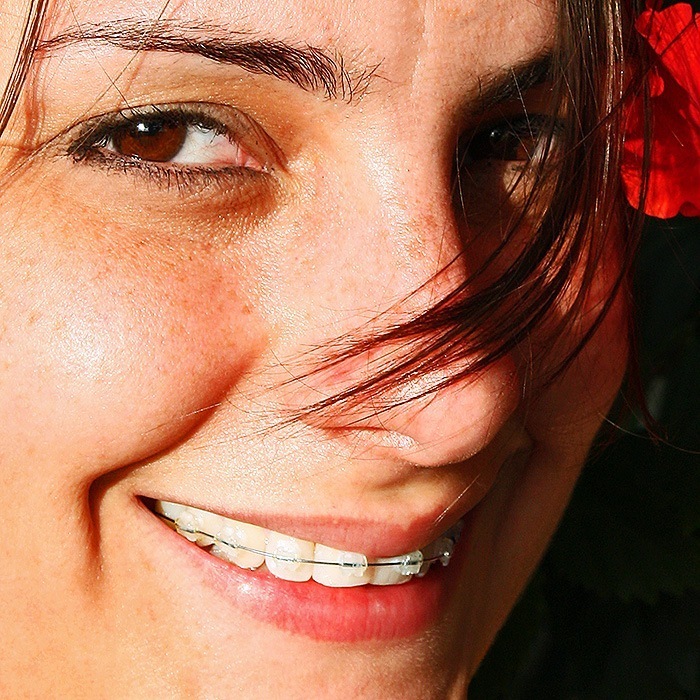 Today’s metal braces are smaller, more comfortable and more attractive. Invisalign engineered and designed specifically with teenagers in mind. Now teens don’t have to worry about embarrassing metal braces in their yearbook photos or Facebook profiles – introducing Invisalign Teenâ„¢! Invisalign Teen is the clear way to straighten teeth without metal braces, using aligners. Aligners are removable and virtually invisible, which means you can straighten your teeth without anyone knowing; and you can still eat and drink what you want. Also, you can brush and floss normally to maintain healthy gums and teeth; and there are no wires, metal or brackets to cause mouth abrasions. In-Ovation “R” is a self-ligating bracket, which allows more control during treatment than more traditional brackets. The difference is that they are smaller in size but also stronger and more efficient because they have a built-in clip that holds the archwires in place without the need for wire or elastic ties. This allows for greater overall attractiveness and a more reliable product. Are placed behind the upper and/or lower teeth, creating a more aesthetically pleasing effect. Because the brackets and archwire are actually placed at the back of your teeth, they are virtually undetectable, allowing you to retain your normal appearance for the duration of your treatment. Your doctor took courses specializing in the placement of these devices. They are custom made for your maxillofacial structure. While some patients note problems with speech initially, such problems generally disappear within a few weeks and with practice. We don’t believe in a “one size fits all” mentality. Our practice is devoted to serving its patients based on their unique needs and preferences. Feel free to contact us or come in today to discuss your orthodontic treatment options! Your smile will thank you! We are grateful for our loyal patients! Photo credit: Image by Flickr user Hector Landaeta used underCreative Commons Attribution-ShareAlike 4.0 license. Image cropped and modified from original.